Under the grant programme Trees instead of leaflets METRO Cash & Carry Slovakia together with the Ekopolis Foundation supported four environmental projects worth € 3,300 in 2016. Every registered METRO customer who chose the electronic version of the company’s brochure instead of a paper one contributed to the planting and revitalisation of greenery project across the country. “We are pleased that our customers increasingly prefer electronic communication instead of paper leaflets. Through the initiative Trees instead of leaflets they contribute to tree planting and beautification of the surroundings in every region in the country, ” says Martin Jaroš, Communications Manager, METRO Cash & Carry Slovakia. 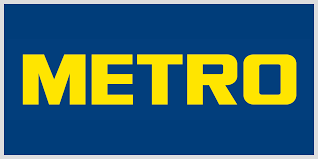 The goal of the programme Trees instead of leaflets is to contribute one euro for every registered METRO customer who changed a paper leaflet for an electronic one in support of projects related to the planting and revitalisation of greenery across the country. The programme has been implemented by METRO in cooperation with the Ekopolis for five years. In 2016, under the Trees instead of leaflets programme, trees will be treated in Malinovsky Park, a relaxation zone and garden will be created in an elementary school in Zvolen, and the park by the former cinema Úsmev in Košice and the hospital park in Šala will be revitalized.